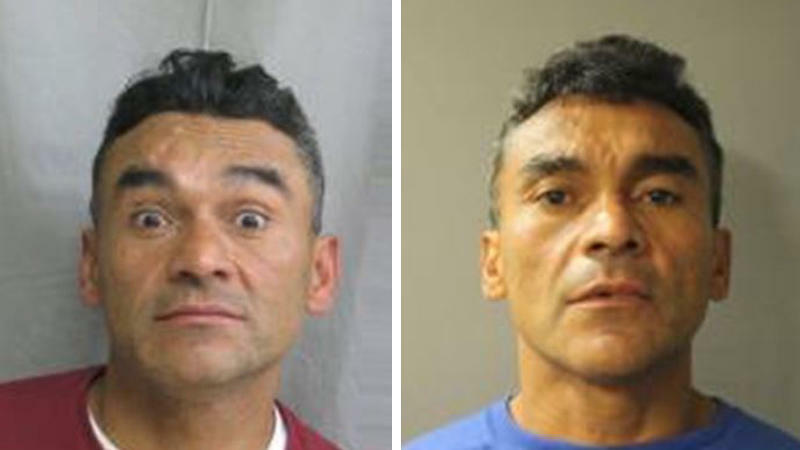 LOS ANGELES -- A man with a history of violence who'd been deported from the United States six times wasn't flagged for arrest by Houston police and fled to California, where he's now charged in a series of killings, authorities said. Ramon Escobar, 47, came to the attention of Houston police when his aunt and uncle disappeared in August but he was released since no foul play was suspected, Houston police spokesman Kese Smith said Wednesday. However, Smith added that foul play was now suspected in the disappearances. Escobar arrived in California earlier this month, where authorities say he began a string of attacks that killed three men and seriously injured four, most of them homeless. Escobar was charged Wednesday in Los Angeles County with three counts of murder, five counts of attempted murder and four counts of second-degree robbery in attacks involving homeless men. He was ordered held without bail pending a Nov. 8 arraignment. Andrew Arthur, a retired immigration judge, said the Board of Immigration Appeals may have allowed Escobar to stay in the country and be released under ICE supervision by granting him asylum or some other form of relief, like "withholding of removal" or protection under the United Nations Convention Against Torture. "Even people with horrendous criminal records are able to access humanitarian relief to remain in the United States," said Arthur, a fellow at the Center for Immigration Studies, which advocates for restrictions on immigration. John Sandweg, a former acting director of ICE, said a serious criminal record can hurt an asylum claim but doesn't disqualify someone from withholding of removal. Unlike asylum, withholding of removal does not include a path to citizenship and is therefore considered less appealing. Last November, Escobar was arrested on the misdemeanor assault charge by Harris County, Texas, authorities, according to Texas Department of Public Safety records. He was convicted of the misdemeanor in May. It wasn't immediately clear why he remained free after the conviction. ICE spokeswoman Paige Hughes declined to comment on Escobar's case beyond a statement issued late Tuesday. The Executive Office for Immigration Review, which oversees the immigration courts, did not provide information. Escobar was looking for work and needed a place to stay so his aunt and uncle, Dina and Rogelio Escobar, took him in, his cousin Ligia Salamanca, told KTRK-TV in Houston on Tuesday. Days later, 65-year-old Rogelio Escobar went missing, Houston police said in a statement. Dina Escobar, 60, was last seen on Aug. 28 when she went looking for her brother. Her burned van was found in Galveston, Texas, a few days later.